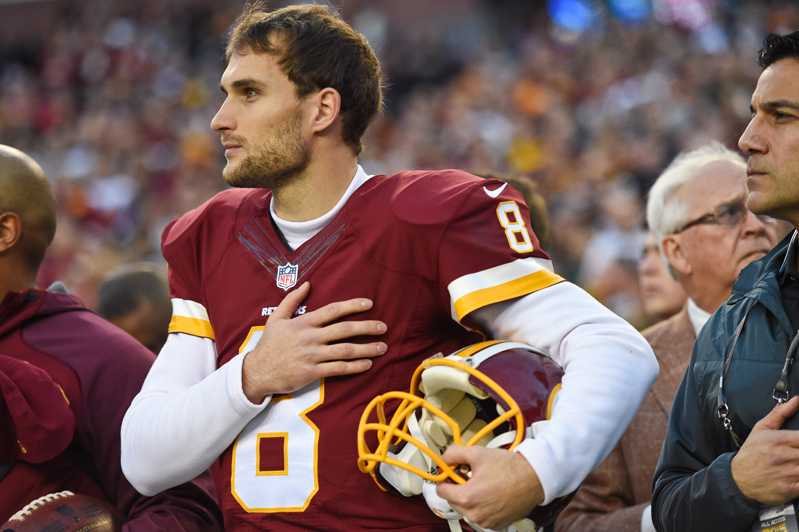 Life is good for Washington Redskins quarterback Kirk Cousins. Not only has he solidified himself as a legitimate franchise quarterback, ensuring a handsome payday isn’t too far down the road, but today he was also named the NFC Offensive Player of the Month for November. 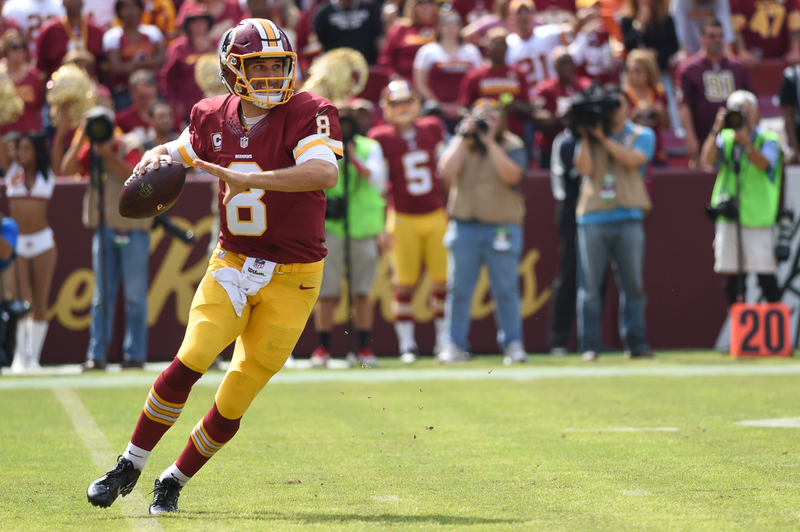 In three games in the month of November, Cousins completed 84 of 116 passes (72.4 percent) for 1,086 yards with eight touchdowns and no interceptions for a passer rating of 124.4. His 362.0 passing yards per game led all NFL quarterbacks in the month of November. While Cousins has been fantastic for more than a year now, his rise from unheralded backup to face of the franchise has still caught more than a few people off guard. How did this happen? Can anyone outside of the Cousins family truthfully say they saw this meteoric rise coming? And how much do Redskins fans truly know about the 28-year-old? In hopes of helping answer that last question, I went back and dug up an in-depth feature story I wrote for Redskins.com during Cousins’ rookie year, back in late 2012 when he was firmly intrenched as Washington’s backup behind some other rookie phenom. 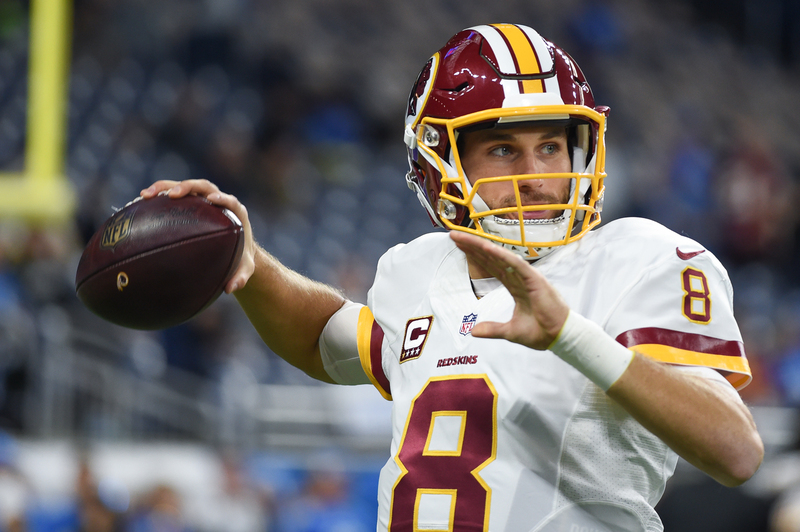 Fans of the Washington Redskins got to see what rookie quarterback Kirk Cousins was all about when he was forced to fill in for an injured Robert Griffin III in the final two minutes of a tense December game against the Baltimore Ravens. The 24-year-old was thrust into action with his team trailing by eight points and the game on the line after Griffin suffered a knee injury on a hit by Ravens defensive lineman Haloti Ngata, and Cousins promptly led the Redskins to a thrilling come-from-behind overtime victory. Cousins’ clutch performance enabled the Redskins to keep their playoff hopes alive and ultimately helped pave the way to Washington’s first NFC East title since 1999 – which is funny, because the Barrington, Illinois native hadn’t even started playing tackle football yet the last time the burgundy and gold reigned supreme in the division. That’s because Cousins didn’t begin playing tackle football until the following year when, as a sixth grader, he finally convinced his parents to let him give it a shot. While his playing days might have started a little bit later in life than other kids, it didn’t take Cousins long to catch up. When he was 13, Cousins’ family moved to Michigan and immediately began searching for a high school with a top-notch football program. Well, things don’t always go as planned and Cousins ended up at Holland Christian School, which wasn’t exactly a dynasty in waiting. Making matters worse, Cousins suffered an injury in his very first game of varsity football during his junior year. By the nature of the position, quarterbacks are going to get hit. They’re going to be knocked down. The good ones get back up and find a way to overcome adversity. 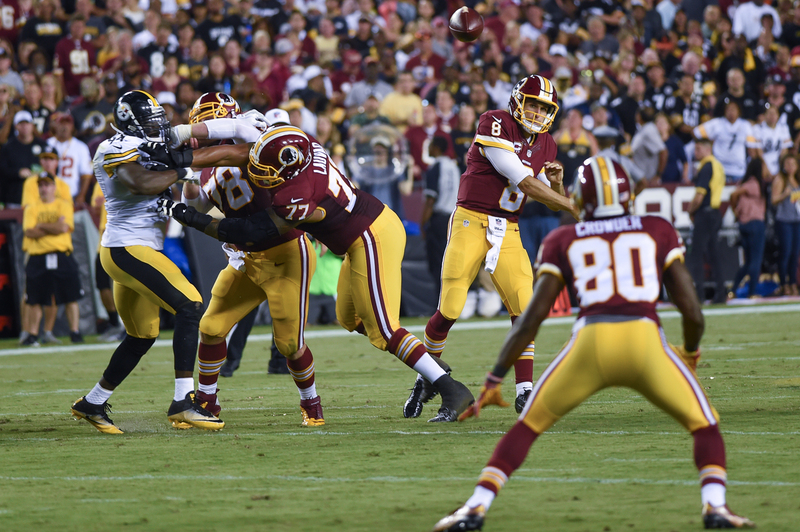 Even at an early age, Cousins proved this was one of his biggest strengths. “I was not a big recruit,” Cousins said. “When people hear Michigan State and see me in the NFL, they must think I had my pick of schools and nothing could be further from the truth. But after my junior season when I didn’t play, I was bound and determined to play college football at a high level. So Cousins played out his senior year and finished out his high school career without a single scholarship offer. Eventually he ended up at Michigan State, but that situation was less than ideal because of a coaching change which prompted several players to transfer elsewhere. Because he didn’t have the luxury of having a ton of options, Cousins vowed to make the most of this opportunity. And if he needed some extra motivation, it was waiting for him before he even arrived on campus. Although his college career got off to a rocky start, it was only a matter of time before Cousins once again rose to the challenge. While other quarterbacks on the Spartans depth chart, like Nick Foles and Keith Nichol, were considered more gifted players, Cousins simply wouldn’t allow himself to fail. Cousins impressed the Spartans coaching staff with his cerebral approach in the classroom and on the practice field and proved to be a natural-born leader, as evident by the fact that he was a three-time captain during his time at Michigan State. In the end, Foles transferred to Arizona, Nichol ended up moving to receiver and Cousins orchestrated one of the most successful stretches in Michigan State history – with the Spartans posting back-to-back 11-win seasons for the first time. Cousins admits that it was a long journey and there were definitely bumps in the road, but he firmly believes dealing with adversity made him stronger in the end. 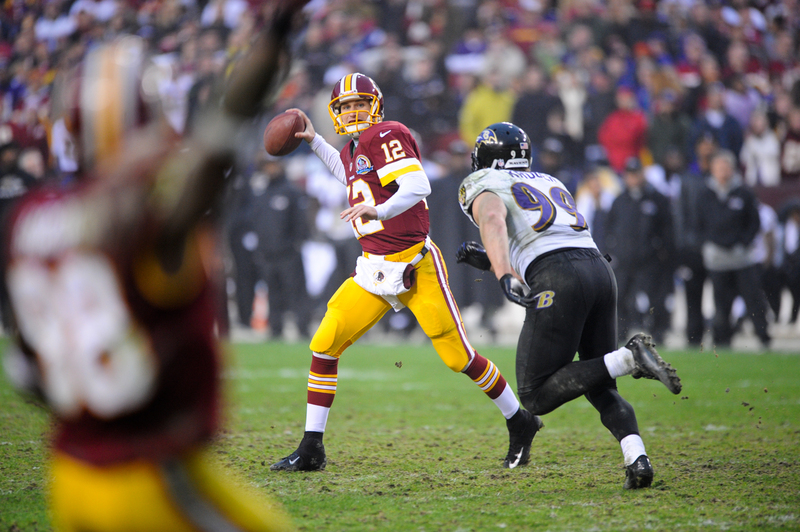 Because nothing has ever been given to him and everything has to be earned the hard way, that trend continued for Cousins in the 2012 NFL Draft – when he was the unlikely fourth-round pick (102nd overall) of the Redskins. Under normal circumstances, it would have been a dream come true to hear his name called on draft day. However, the fact that Washington had just traded away a bevy of draft picks to land Griffin, the Heisman Trophy winner, made the situation potentially awkward for everyone involved. “I was thinking Coach [Mike] Shanahan had made a mistake,” Cousins admitted. “I was surprised. Not discouraged, but disappointed. It wasn’t what I had planned in my mind. But, if anything, I shouldn’t have been surprised because looking at the way God had led me all these years – the broken ankle, lowly recruited, lots of competition. Time and time again, I could have counted myself out or said this doesn’t make sense. I guess I almost should have been expecting something like this. With that in mind, Cousins headed to Washington with an open mind and no expectations. He knew this was Griffin’s team, but that didn’t mean he had to be an afterthought or a wasted draft pick. Thus far, his dream has included two relief appearances and his first-career start – a game in which Cousins threw for 329 yards with two touchdowns and a QB rating of 104.4 while leading the Redskins to a resounding 38-21 victory over the Cleveland Browns. Even if he doesn’t step onto the playing field again anytime soon, Cousins remains convinced he’s landed in the ideal situation.